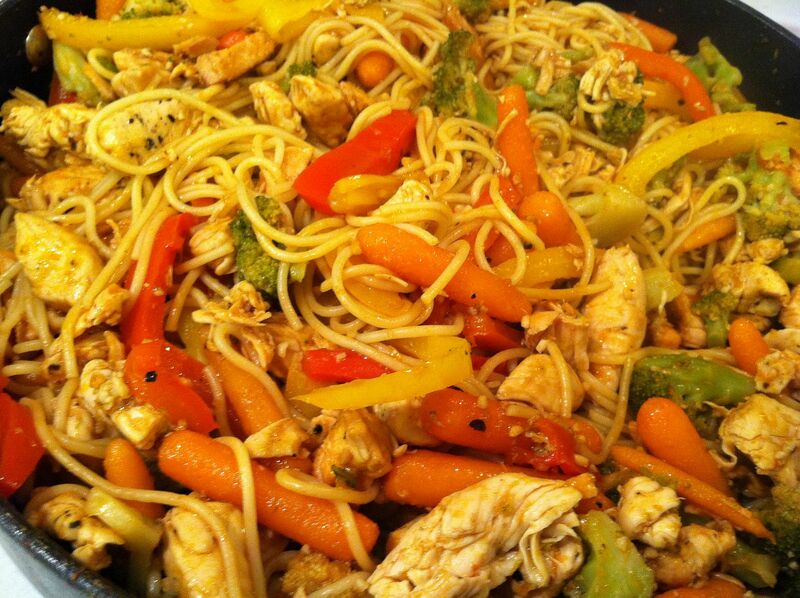 Ok, so Alien, the smoker extraordinaire posted a recipe of an Okinawan recipe called yakisoba. Years ago I was stationed on "the rock" and had forgotten about eating pounds and pounds of various styles of yakisoba. His post brought back memories of my time there and of this wonderful dish. Sooooo, yep, I made it tonight for supper. It can easily be made outside on the disco or dutch oven but I took the easy route and made it indoors. 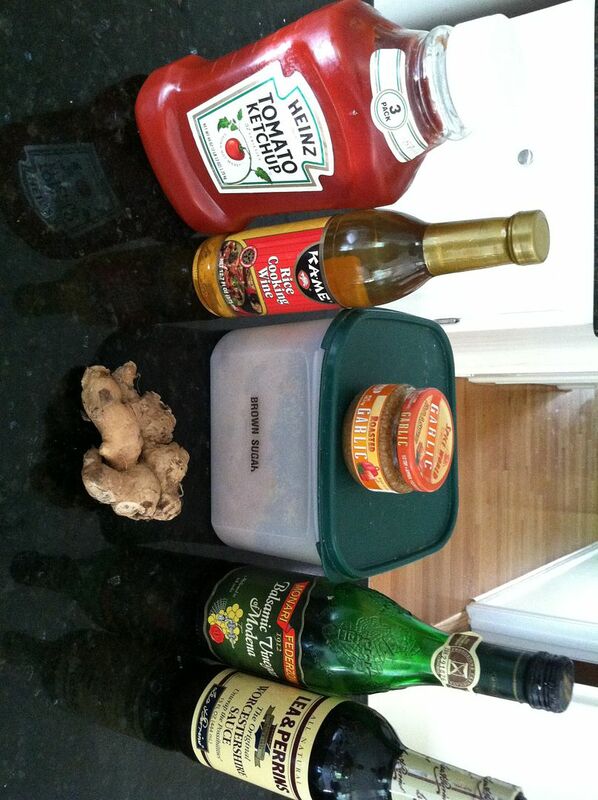 Some of the ingredients for the sauce. 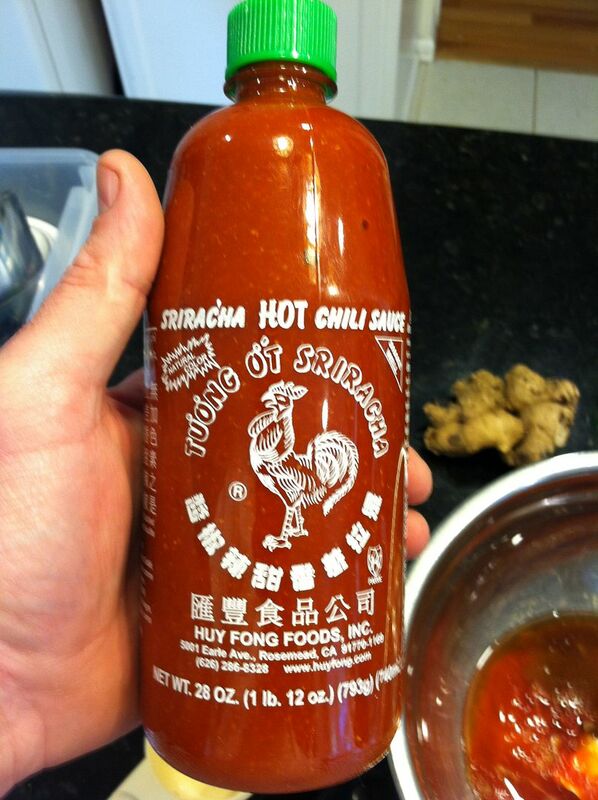 And of course sriracha sauce! 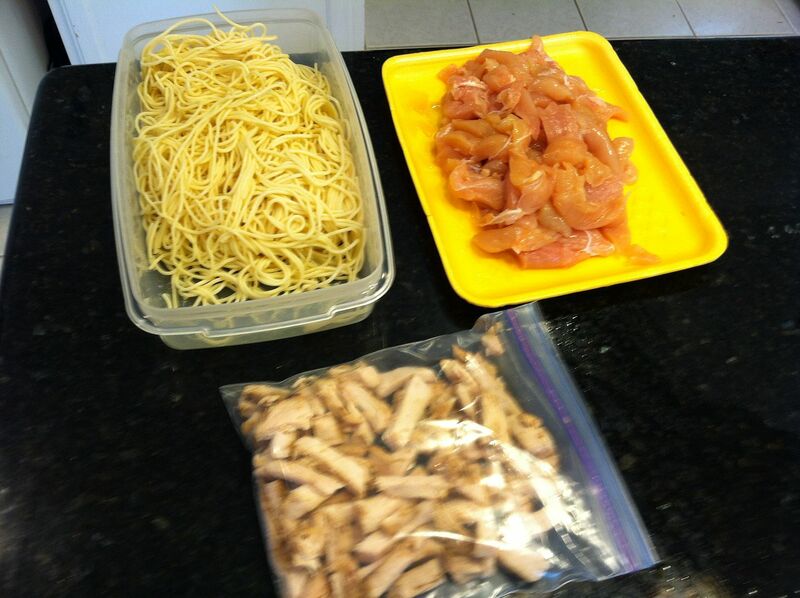 Had some leftover chicken and spaghetti noodles. 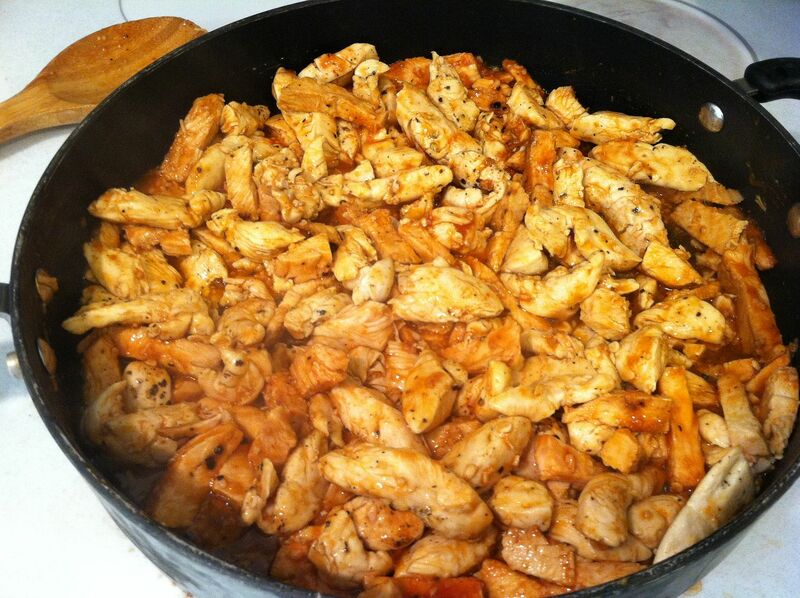 And added 1.5 pounds of fresh chicken. 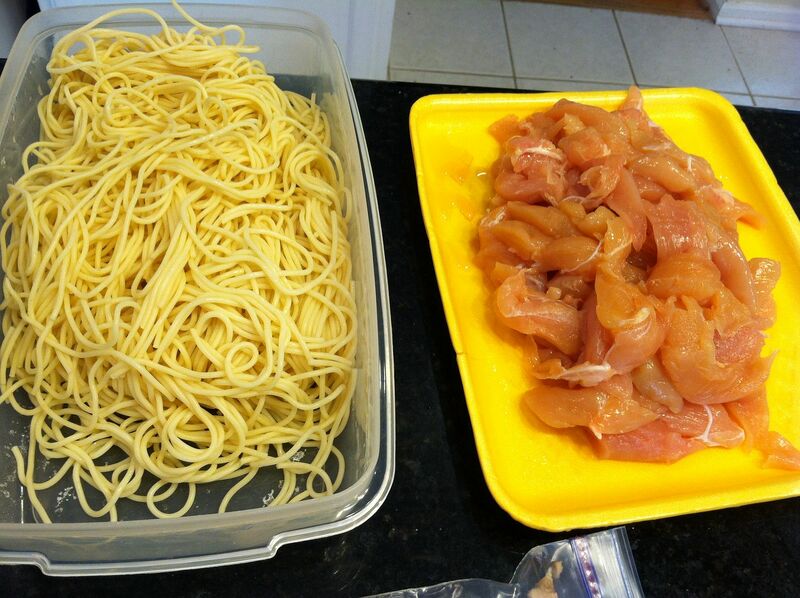 Cooked the raw chicken first then added the leftover chicken. 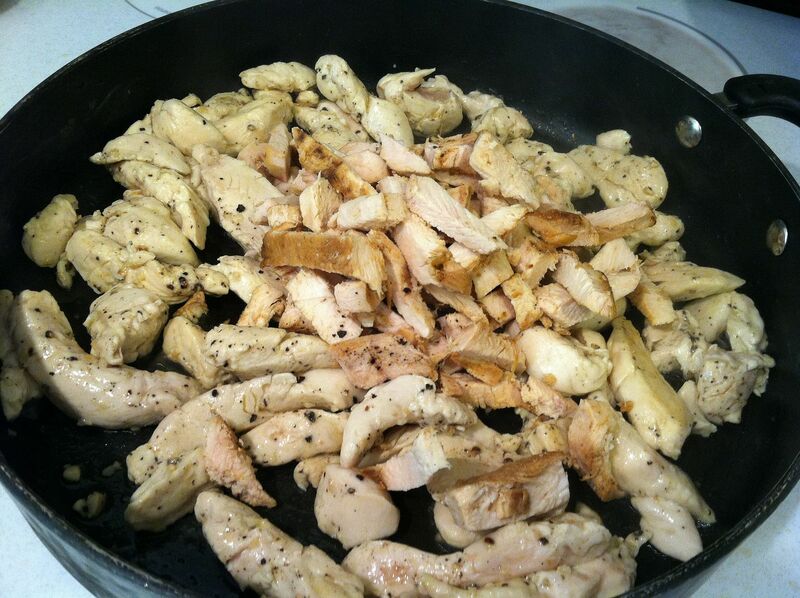 Simply added some black pepper and garlic. And a tablespoon of olive oil to help cook. Added half the sauce and blended everything together. Added the baby carrots, broccoli florets, and sliced red and yellow bell peppers. Once this cooked for a short time I removed it to a bowl I had waiting. 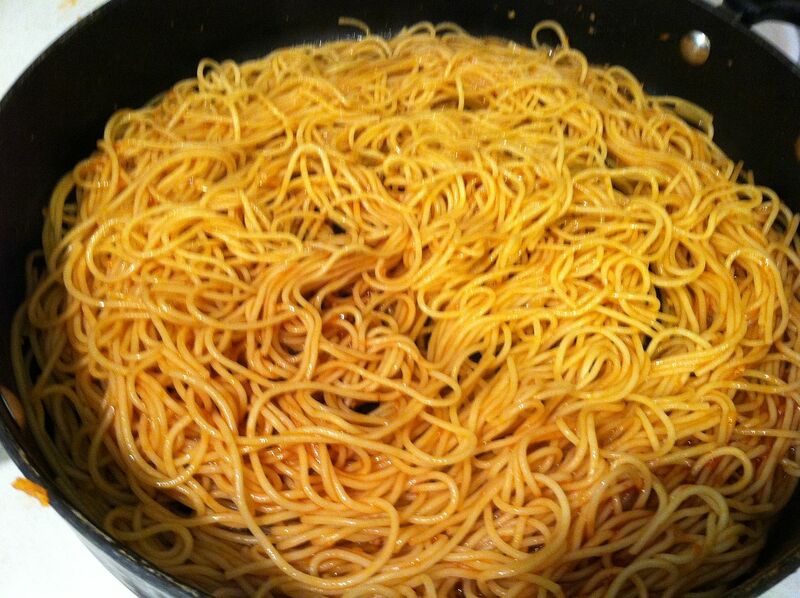 Added two tablespoons of olive oil and once heated added the leftover spaghetti noodles and the remainder of the sauce. 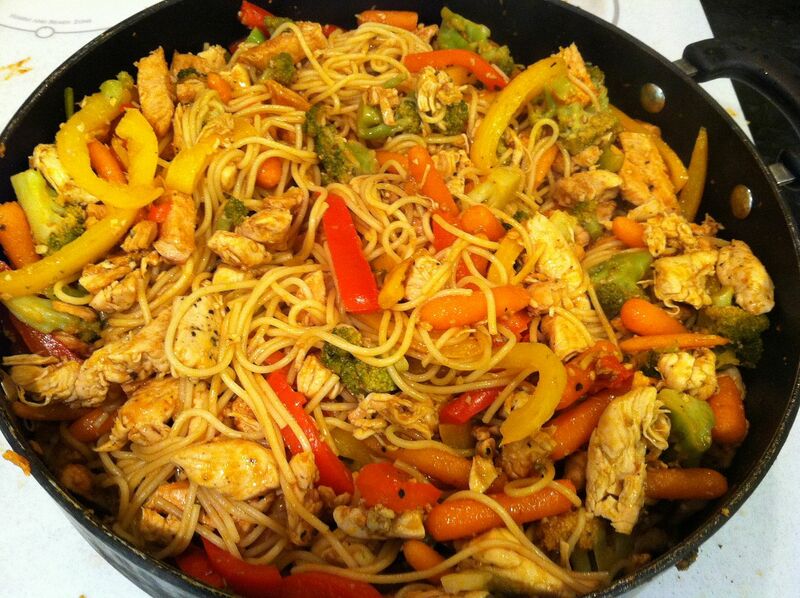 After frying the noodles a little while I added the veggies back in. I halved the recipe and it made a ton...it's a big bowl! The flavors are so good together. Will feed 10 hungry people easily. **** The Soy sauce will be used when cooking the soba with the vegetables. When the meat reaches 190 degrees internally (145 if previously prepared), take a fork and pull the pork away from the bone. Add in half of the Tonkatsu sauce, and stir until well mixed. 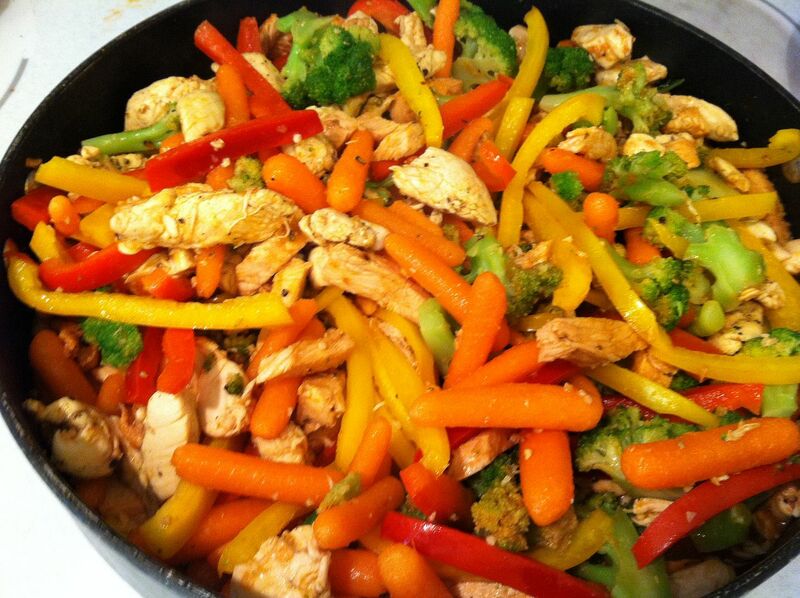 Add in any type of vegetables at this time to allow them to cook down and infuse their flavors with the sauce and meat. I chose: Sugar snap peas, a broccoli and carrot medley, Texas 1015 onions, and one each red and yellow sweet pepper. I cooked the onions and peppers with the meat and the other ingredients with the soba to save on space. After the meat and onion/peppers were cooked, I removed them from the wok and placed 2 oz. of olive oil back into the wok. When the oil was hot enough, I placed the noodles and the remaining Tonkatsu sauce in the wok and stirred until thoroughly blended. 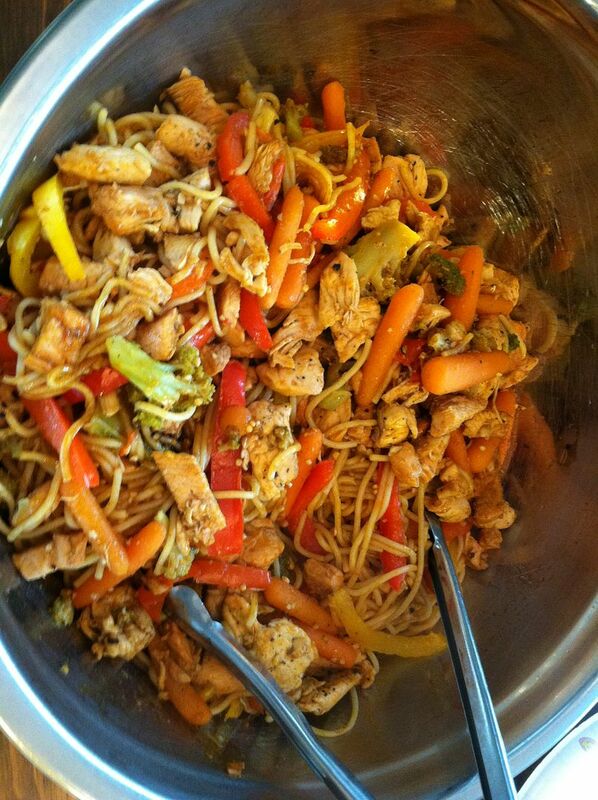 I then added the remaining vegetables to the frying noodles and cooked till the vegetables were done but still slightly firm. 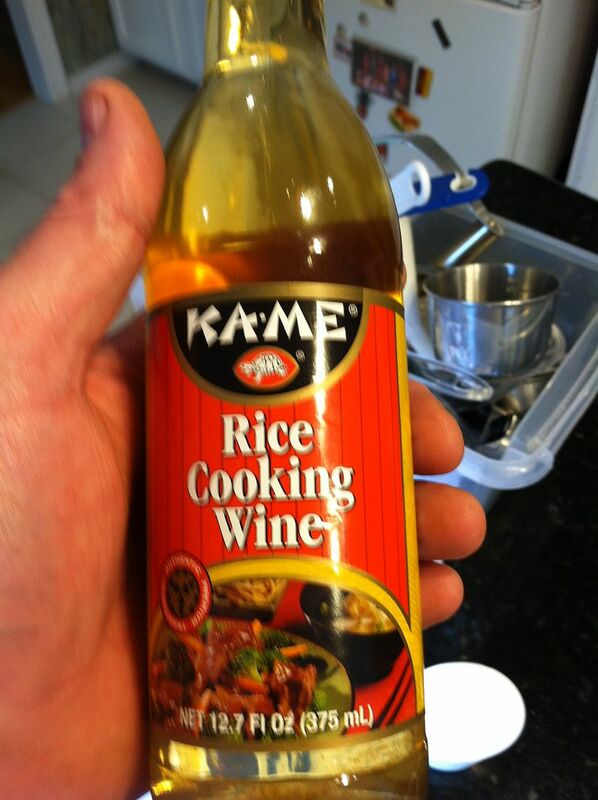 Add the soy sauce to taste at this time. To serve, place the noodles on the plate and serve the Tonkatsu sauce and meat on top. 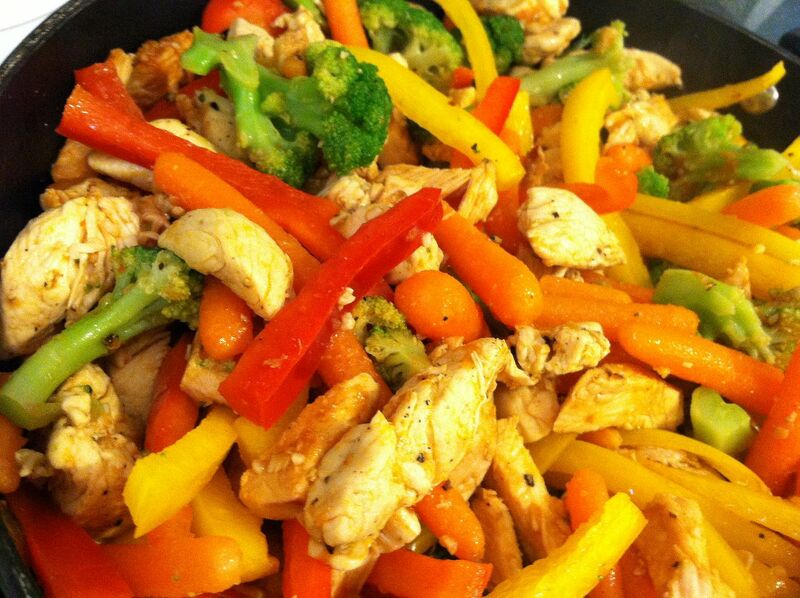 You can change the vegetables around or try a different meat like chicken. Once the family tastes this dish, it will quickly become a staple at your house. The final added bonus is the entire meal was cooked in one pan and outdoors. You do not have to stand over this meal and watch it. This would be a great meal for a party where everyone watches you cook while chatting. Bon Appetit. That looks really good! I'll be trying that one soon. Thanks for sharing with us. Bought mine at the old school bus outside gate 2 all the time. Nothing like dinner cooked over a burnout 55 gal barrel.